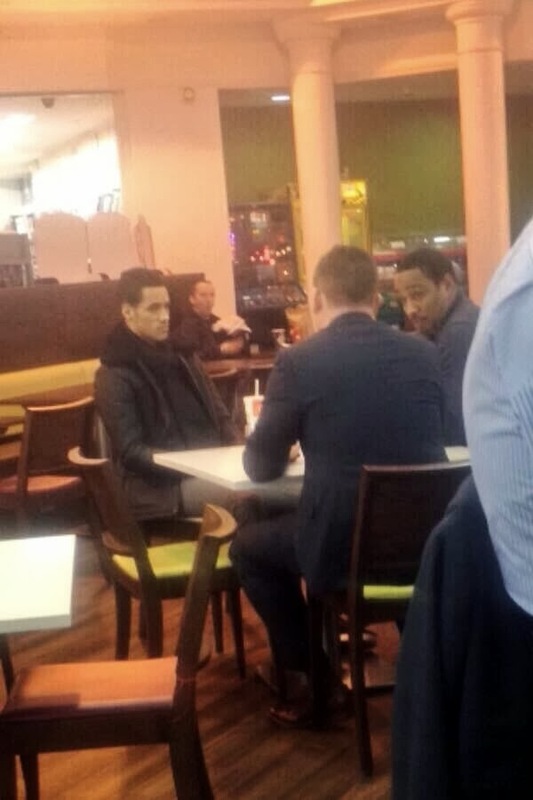 I'll be more than happy to be proved wrong on this as I think Ince is a decent player and (at the right price) could be a good acquisition but I'd be surprised if there's a picture of him at the Liberty holding the scarf aloft by the end of January, the closest so far is this image going round Twitter of Paul and Tom Ince Talking to a 'Swansea representative'. This picture has sparked plenty of rumours but could of course be them a) anywhere, b) taken anytime c) talking to anyone with Leigh Dineen saying it's Ince's agent. 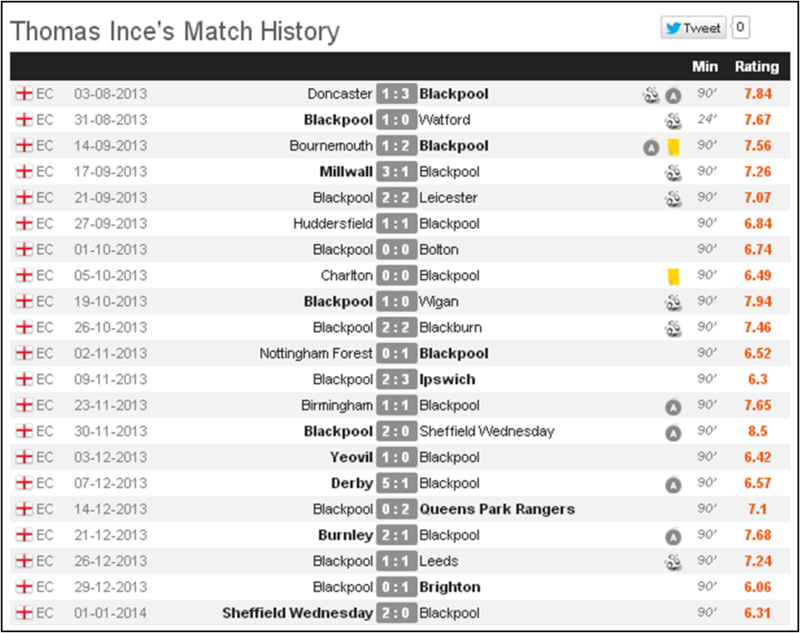 With 7 goals and 6 assists, Ince has been involved in over half of Blackpool's goals in the league this season (13 of 25) and averaging 2.8 shots per game so is not afraid to have a go and could well add a different dimension to Swansea's play. Money - Football Transfers are nearly always far from simple transactions but this one has even more issues than most. Liverpool: As Liverpool have a sell on clause (I've seen it reported in various places as 30%,35% or 50% - most often at 35%) then any fee Blackpool get will be significantly reduced. I've also seen it reported that Liverpool have first refusal (god knows how that works if the player for whatever reason didn't want to join them as opposed to another side). Blackpool: Given the sell-on clause reducing their share, Blackpool are left in the position of considering whether to take maybe £3m of any fee or keeping Ince and hoping for the pot of gold via the play offs (they do have Dobbie in their squad). Despite only getting 1 point from their last 6 games they are only 4 points from the play-offs, if I was Blackpool's manager I'd be saying 'sell him over my dead body' but given his manager is his Dad, that dynamic might be a bit different. Everyone Else: Despite Michu signing a new deal last January (£40k a week?) and the arrival of Bony, Swansea are not going to match other teams who are a bit looser with their wages/turnover ratio. Ince ticks plenty of boxes and there's almost certainly going to be a club out there willing to offer £10-20k a week more than us. Manager - It's not the same as Zaha joining Manchester Utd and then finding out his face doesn't fit, but there's no guarantee that Laudrup will still be around next season which may reduce the appeal of joining Swansea. It's probably not as big an issue as at other clubs as overall style and philosophy is unlikely to change regardless of who's in charge, but it adds an extra layer of uncertainty. There's plenty above to suggest that any deal is unlikely but on the positive side, Ince is undoubtedly a good fit and Swansea offers arguably the right level of step up, go to a relegation threatened side and maybe end up back in the championship or go somewhere like Everton and maybe hang around on the bench. Maybe he'll see sense and within a few days he will be pictured at the Liberty holding that scarf aloft.